Islamabad: Describing Pakistan's rapidly growing population as a "ticking time bomb", the Supreme urged religious scholars, the civil society and the government to back population control measures, including a two children per family norm, in the Muslim-majority country. 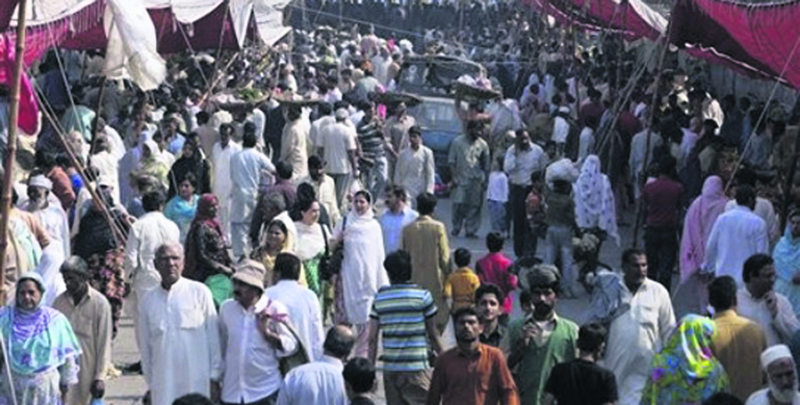 A three-member bench led by Chief Justice Saqib Nisar made the observations during a hearing in a case related to population control in Pakistan, now the world's fifth most populous. In its order, the Supreme Court urged religious scholars, the civil society and the government to take steps to promote population control in the country. The bench referred to the increasing population as a "ticking time bomb." "The increasing population is a burden on the country's resources. It is about the future of the next generation. It would be unfortunate if the population is not controlled. Two children per home will help to control the population. There is a need for a campaign on the matter," the apex court was quoted as saying. "The entire nation needs to stand together to control the population," the chief justice said. According to the 2017 census, Pakistan's population was approximately 207,774,520, making it the world's fifth most populous nation only behind China, India, the United States and Indonesia. In July, the Supreme Court took suo motu action on increase in population. The chief justice, on the occasion, remarked that there is dire need to formulate a uniform and effective policy to curb Pakistan's population growth. The apex court came down hard on Health Secretary Captain (Rtd) Zahid Saeed after he admitted that the department could not devise and implement effective measures to control population growth. An angry Chief Justice Nisar remarked, "how could surveys be done while sitting in offices?" Subsequently, the court ordered him to submit a progress report to the court every three months. The secretary informed the court that a plan has been devised to control the population growth rate which has to be brought down to 1.5 per cent by 2025.